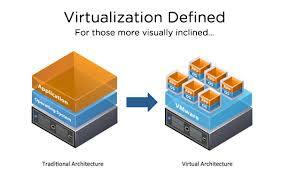 The prime objective of this article is to discuss on advantages of server virtualization. Server virtualization provides numerous benefits for the company. The first is only cutting down the quantity of servers necessary for business operations. It has been expected that a company’s server usually runs at 25% of its capability. Rather than purchasing added servers, numerous company servers have the capability to be split.